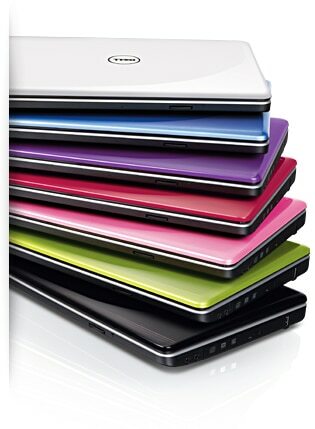 The new Inspiron 14 laptop is full of optional colorful features. It has what you want, plus the flexibility to add your personal touch. Personalize yours with a choice of 7 optional vivid colors. See more on the 14" Hi-def display with a 16:9 aspect ratio. Stay connected with 802.11g/n and optional Bluetooth® technology. 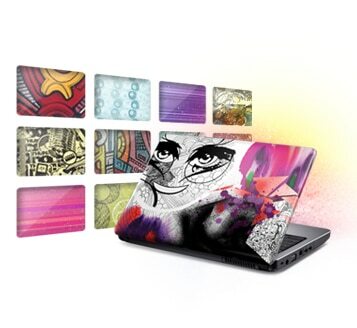 Personalize every inch of your Inspiron 14. Choose from over 200 unique images or 7 optional glossy colors: Obsidian Black (standard), Alpine White, Cherry Red, Ice Blue, Promise Pink, Gecko Green and Passion Purple. 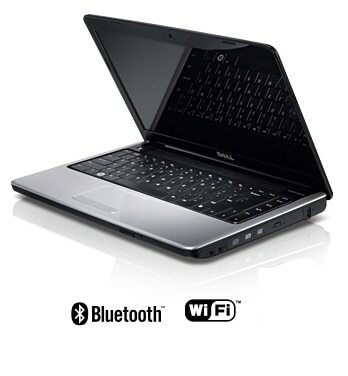 And with every purchase of a Promise Pink Inspiron 14 laptop, Dell will donate $5.00 to Susan G. Komen for the Cure® . Pick your color or design to match your personal style. Personalize every inch of your Inspiron 14. Choose from 7 optional glossy colors: Obsidian Black (standard), Alpine White, Cherry Red, Ice Blue, Promise Pink, Gecko Green and Passion Purple. 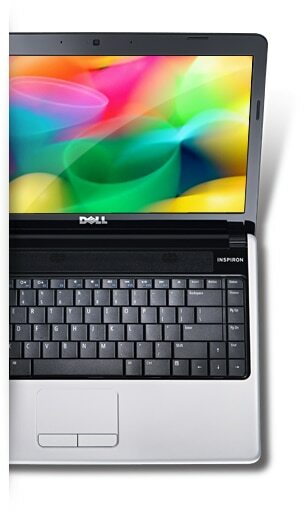 And with every purchase of a Promise Pink Inspiron 14 laptop, Dell will donate $5.00 to Susan G. Komen for the Cure® . Pick your color or design to match your personal style. Stay connected* with the Inspiron 14 at your side. Take advantage of a wide range of hard drive options. High-capacity hard drives with up to 500GB* to store your personal files, digital music, photos and video clips. And superfast hard drives, up to 7,200 RPM, for quick access to your data. The 14" Hi-def display with a 16:9 aspect ratio and optional widescreen LED is small enough to take with you and large enough to keep you entertained, especially when matched with the optional Blu-ray DiscTM drive. Increase your momentum with the optional 6-cell battery, with up to 5 hours and 29 minutes of battery life*. It lies neatly tucked inside the system rather than blocking your way. Capture your life as you live it — then share it with the world using the 7:1 media card reader. Located inside the ExpressCardTM slot, the media card reader can read up to 7 different digital media cards.